On this blog we spend a lot of time stressing provenance, provenance, provenance, and the need for antiquities collectors and dealers to perform satisfactory due diligence before purchasing or selling an ancient object. Now granted one shouldn't judge the efforts of the entire ancient art collecting community against a single episode of a TV program, but this recent clip, showing the sale of Egyptian mummy cartonnage on The History Channel's popular staged reality TV show Pawn Stars serves as a good reminder of how little an object's legitimacy in the art market, enters into the discussion between buyer and seller when art transactions are filmed for television. Pawn Stars has been a History Channel staple since 2009. Filmed on site at the Gold & Silver Pawn Shop in Las Vegas, each episode is framed around the buying, selling, and appraising of items of historical value. To keep their audiences coming back for more, the program is fast paced and edited to fit several transactions into each episode, in some cases sourcing objects in advance of the program's shooting. For important pieces there is time allocated for pop-in appraisals by "experts" alongside the requisite name dropping of corporate sponsors, spiced up with a dash of comic relief to keep the audience coming back year after year. While I can understand that the show's viewers probably wouldn't tune in to a History Channel series for eight years if the show were to spend a chunk of its expensive air time ensuring that the objects being bartered wer not looted or stolen, but sometimes making a fast buck has led to problems. One Season 6 episode "Shekel and Hyde" featured a gentleman who sold a shekel of Tyre to the owners of the Pawn Shop for $1,600. Unfortunately the coin was apparently stolen. This is the reason why we keep beating the already dead due diligence horse and why we encourage buyers and sellers of ancient objects to look at the origins of an object before they make a purchase. But not everyone is interested in ensuring that the objects they want to purchase have not been stolen or looted or come with proper documentation showing compliance with export regulations. 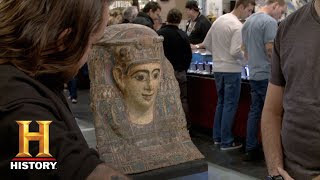 In addition to the mummy cartonnage, Pawn Stars has featured other items of the type that are at risk of being trafficked, again without presenting any information as to if the object was appropriately vetted off camera to ascertain its licit status prior to filming. An Egyptian Linen Wrapped Falcon Mummy from the Ptolemaic Period authenticated by Thomas Lindgren, the Co-Consulting Director of the Natural History Department at Bonhams in Los Angeles. 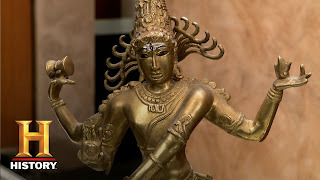 An bronze statue of the Hindu god Shiva in the form of Śrī Naṭarāja subduing Apasmāra. 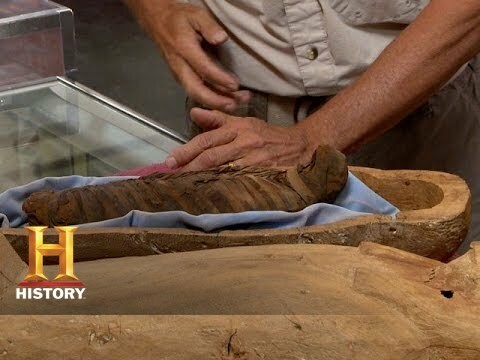 TV shows the History Channel’s Pawn Stars, American Pickers and PBS’ Antiques Roadshow attract millions of viewers, as everyone likes the idea of a secret treasure. Unfortunately the producers of these programs miss a valuable opportunity to educate buyers and sellers, promoting ethical trading in the pieces of the past.